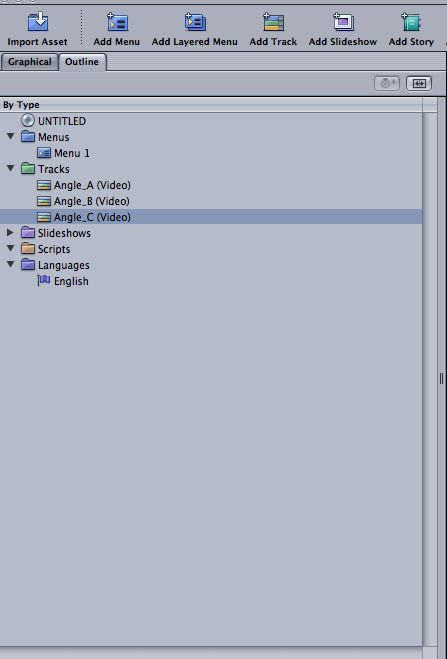 DVD SP 4 added a new feature for viewing VTS in DVD SP and being able to move things such as menus into different VTS. This helps to make discs a little more efficient when running, such as by moving menus into the same VTS as the video that it relates to, and also helps when trouble shooting. 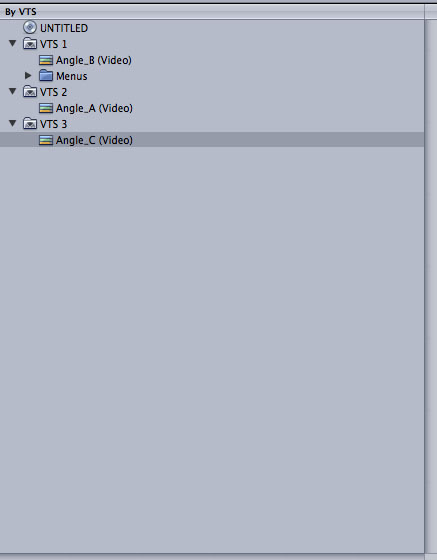 Let's say you are making a project and receive an error while when the logs shows the last actions was compiling VTS_02_1.VOB. 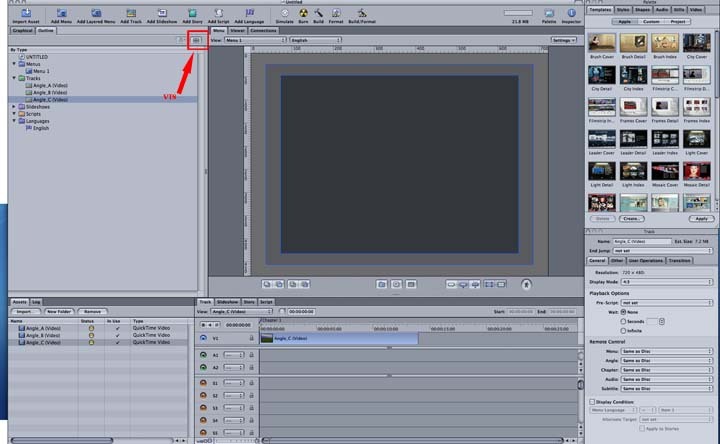 This will show you how to tell which asset or track to look at to see if something is amiss. 2.) 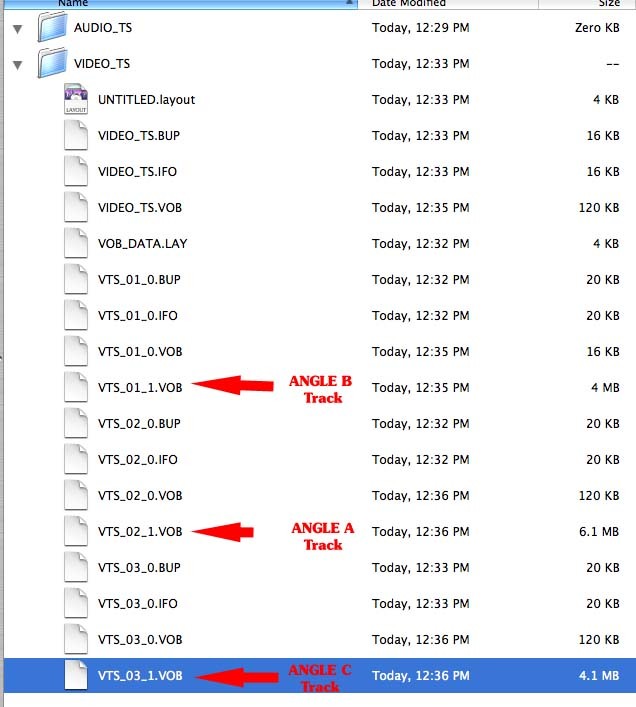 Press the toggle switch to see the VTS view, and you will see that VTS 2 contains the Angle_A track, so the issue is somehow related to items on that track- could be corrupted files, a gap in the sequence on the timeline, etc.